BOSTON, MA - Saturday,May 22, 2010 – The Boston Cannons (2-0) defeated the Chicago Machine (1-1) 17-15 in front of a Cannons all time record crowd of 10,615 fans Saturday night at Harvard Stadium. Midfielder Kevin Buchanan won Bud Light MVP player of the game honors with three goals and two assists. 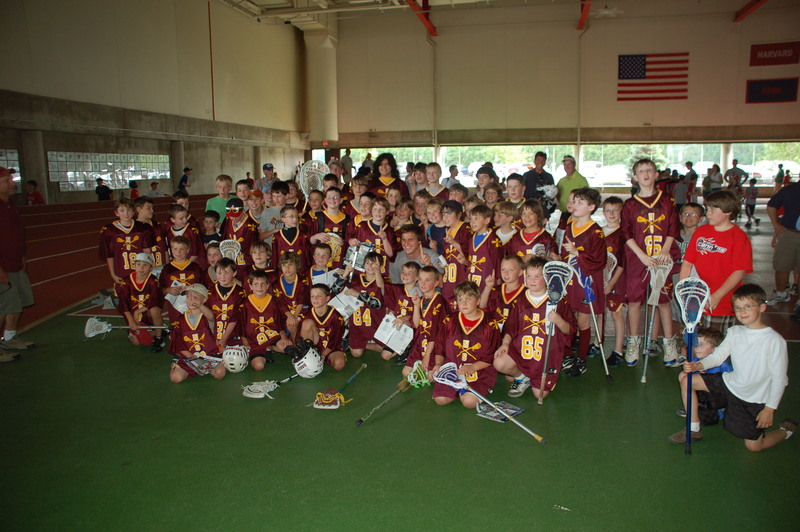 The days festivities started at 2PM with a large contingent of the 280 people from the Northborough-Southborough Youth Lacrosse program tailgating ahead of our U11 game. 44 of our players (33 of them being third graders) faced a tough opponent in the Nashua Blast, which follows age not grade when determining U11, and they fielded 3 fifth graders and 17 fourth graders making up their 20 man team. We did ourselves very proud holding them to a 6-2 final margin. Our kids really played tough. It surprised some of the kids (and some parents) to realize that the Harvard field is actually the same size field that we play on every week. Surround anything with 70,000 seats and it becomes huge (reminds you of the scene from Hoosiers when the team goes to play in the championship game and they measure the baskets). After the game the boys had an opportunity to meet and get autographs from several players. We have a great group picture with Kip Turner (starting goalie), we had the Captain Chris Passavia, and we also had Defenseman Mitch Belisle (Mitch is involved with the Trilogy Camp being run at Fay School this August along with Matt Striebel, #6 on the Chicago Machine) spend time with our kids and get pictures and autographs. We then had another hour for tailgating (be sure to check out the pictures and please send more pictures that we can post) before marching back into the Stadium to participate in the Human Tunnel where the players get introduced (this was on ESPN). The night ended perfectly with an exciting Cannons win. Many many people volunteered to help make this night so much fun, however we would like to particularly thank Stephanie Nardone, who as Cannons Night Coordinator orchestrated the evening! If you were not able to join us we will do it again next year as we continue the tradition of being the town with the strongest support for our Boston Cannons in all of New England! The Cannons played a stellar first quarter as they received goals from Buchanan, Mike Stone and Justin Smith to take a 3-0 lead. The Cannons defense locked down the Machine as they held an opponent scoreless in the first quarter for the first time since June 15, 2007 at home against the Washington Bayhawks. Starting off an evenly contested second quarter, Ryan Boyle netted a spectacular goal as he leaped over a Chicago defender to put the Cannons up 4-0. 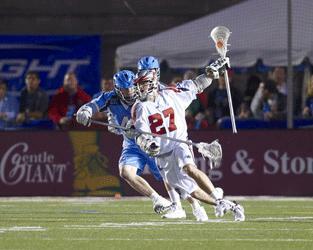 Mike Leveille finally got the Machine on the board three minutes into the quarter on his third goal of the season. Buchanan followed by scoring his second goal of the contest to give Boston a 5-1 lead. The Cannons allowed two Machine goals before Matt Poskay notched his 100th career goal with 7:38 remaining in the quarter. Chicago would get within a goal, 7-6, before Paul Rabil brushed off a barrage of defenders to rifle home his first goal of the season, giving the Cannons an 8-6 advantage at the half. Poskay opened up the second half by moving into sole possession of fourth place on the Cannons all-time goals scored list with his second tally of the game to open up the third quarter. The Cannons opened up the game in third as they tallied six points including two goals from Paul Rabil, Buchanan’s third goal of the game and a Brad Ross two pointer, as Boston’s stifling defense held the Machine to just two goals. The Machine made a late charge in the fourth quarter, scoring seven times, but fell short as Boston got two goals from Poskay and an impressive unassisted goal from Kyle Sweeney to close out the 17-15 victory. Buchanan received praise from Rabil who spoke glowingly of the midfielder after the game. “I think he may be the most underrated player in the league, he does a lot of things well and I am psyched to be playing with a player of his caliber.” Rabil, who scored three goals in his first game back from the NLL, thinks the Cannons can have a special season. Group and individual tickets are on sale for all remaining Cannons home games and the 2010 MLL All-Star Game being held at Harvard Stadium on July 8th. For more information, or to purchase Cannons tickets, visit BOSTONCANNONS.COM or call (617) 746-9933. This year our program will be going to our Seventh Annual Northborough-Southborough Night at the Cannons. Come on out for a great family fun night and support your hometown team. We have over 260 Parents and players attending this year from our program! We feel this is one of the truly great evenings of family fun and sports entertainment. The Boston Cannons are the equivalent to the Red Sox or Patriots. You wll see the very best lacrosse players in the world compete. The date will be Saturday May 22nd where the Cannons go up against the Chicago Machine. CANNONS LAST GAME: The Cannons opened their 10th Anniversary Season with a statement win last Saturday as they defeated the Denver Outlaws 16-13. The Outlaws eliminated the Cannons from the 2009 MLL Playoffs, and the Cannons were without 2009 MLL MVP Paul Rabil for this year’s season opener. 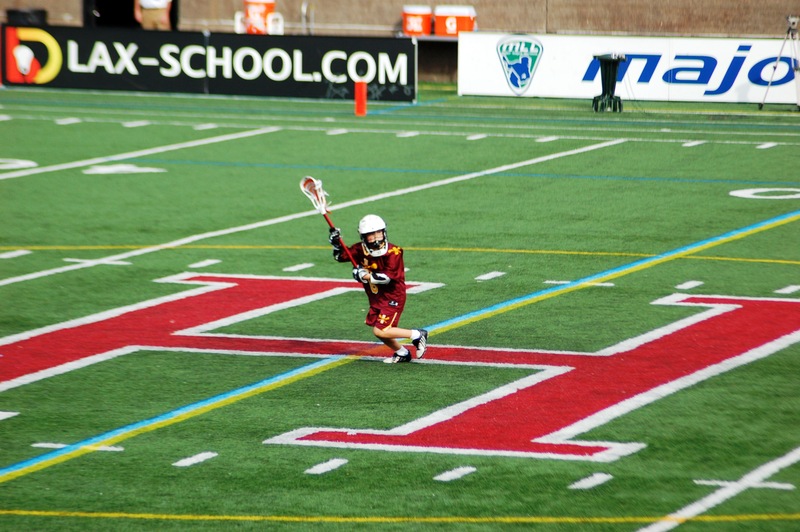 The mix of veterans and new talent were not to be denied in front of nearly 10,000 fans at Harvard Stadium. Co-Captain Matt Poskay led the way with 4 goals and 1 assist, while newcomers Brad Ross, Pat Heim, Kevin Buchanan and Mike Stone combined for 4 goals, and a 2 point goal from Ross. CANNONS VS. CHICAGO IN 2009: The Cannons faced the Chicago Machine three times in 2009, with the Cannons prevailing in all three match-ups. Paul Rabil was named the Bud Light MVP in the first game with a six point performance (three goals, one 2-point goal and one assist) to lead the Cannons to a 16-14 win. The second match-up saw the Cannons explode for 22 goals and defeat the Machine 22-11. Matt Poskay led the offense with 4 goals. In the third and final meeting of 2009, the Cannons completed the season sweep by defeating the Machine 17-10 on July 18. Ryan Boyle was the latest Cannon to feast on the Machine with an 8 point performance, including 2 goals and 6 assists. Rabil added 3 goals for the Cannons win. WHAT TO WATCH FOR: Reigning Bud Light MLL Most Valuable Player Paul Rabil makes his 2010 debut for the Cannons after missing game 1 to finish up his championship winning indoor season for the Washington Stealth. Matt Poskay is sitting on 99 career goals after his 4 goal performance in game 1, and looks to become the fifth Cannon in team history to reach the century mark. The Cannons scored 55 goals against the Machine in 2009, winning all three matches between the two teams. Contribution from the off-season acquisitions is expected to continue. 5 of the 19 players on the Cannons line-up last week did not play for the team in 2009. 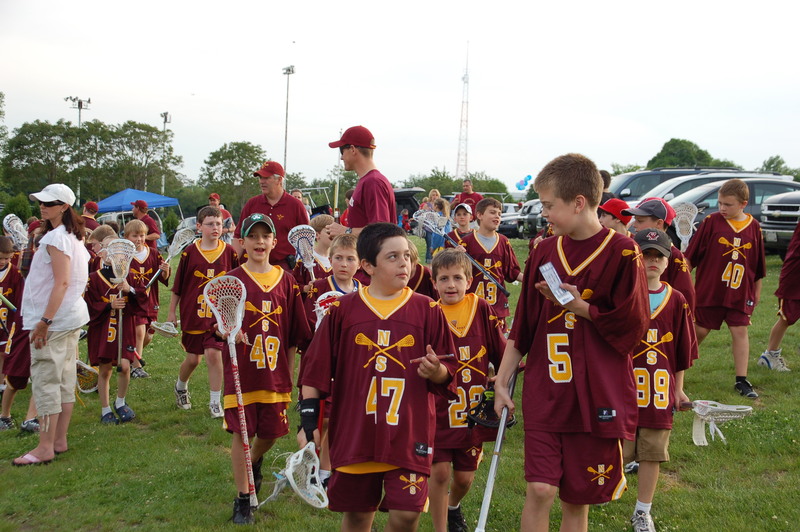 Because of the large number of U11 players we have this year, we chose to have a full game just prior to the Cannons game in place of our usual halftime game (we would not be able to get 66 kids into a 6 minute halftime game). We will plan a late afternoon tailgate with our program, followed by a game of our U11 kids (combining all U11 players) against a team from Nashua New Hampshire. The Cannons will be setting up a Fan Services tent which is located in the fan zone. The tent will be located at the corner of the fan zone and Murr Center closest to the field. This will be the operating headquarters for not only me but the Cannons Game Day Hosts (also known as Ambassadors/Representatives). Anyone with a youth game in the stadium will report to the Fan Services tent a half hour prior to their game so we can get everything moving in a timely fashion. While I will be your primary contact, we are also going to assign a Game Day Host to a field/program. We are still working out the logistics of who is with whom, but I will still be your contact if you have any questions. Also, all games will be required to provide their own balls and refs. The Meet and Greets will occur from 5:15 P.M. to 5:30 P.M. They will happen in the indoor track which is located adjacent to Harvard Stadium on the opposite side of the street. The entrance to the indoor track is located at the corner closest to the stadium and parking lot. Please report there at 5:00 P.M. so we can get everyone situated by the time that the players arrive. After you arrive at the indoor track, the Game Day Hosts and I will show everyone to their designated area where they will have their Meet and Greet. Our Meet & Greet for Northborough-Southborough will be #44 Chris Passavia, Defenseman & Team Captain, plus #15 Kip Turner, Starting Goalie. For those that are interested in participating in the Human Tunnel during the player introductions, please report to the Fan Services tent area at 6:30 P.M. If you arrive late, there are no promises for entry. From my experience, the kids enjoy this opportunity and I hope to have everyone who wants to be a part of it participate. ALSO, PLEASE NOTE THAT FOR ANYONE THAT EXITS THE STADIUM FOR WHATEVER REASON, EXIT AND RE-ENTER VIA GATE 3. GATE 3 WILL BE THE ONLY GATE WE ARE ALLOWING PEOPLE RE-ENTRY. AND FOR THOSE TEAMS THAT HAVE A PRE-GAME YOUTH GAME IN THE STADIUM, PARENTS AND SPECTATORS WILL NEED A TICKET TO ENTER. NO EXCEPTIONS! If anyone has any questions, please don’t hesitate to contact me, my information is below. On game-day your contact will be Chris Nowell, you can contact him on his cell at 617-584-3320.